# The API stores default configuration data in ./config/default.yaml. # You'll need to overwrite using your own config data in a local.yaml. This is the port to listen on. It should match wherever your API server is going to run. In this case, it’ll run at http://localhost:8080, so set the port to 8080. This is the externally routable URI, so set it to http://localhost:8080. In this example, we’ll set the github SCM. 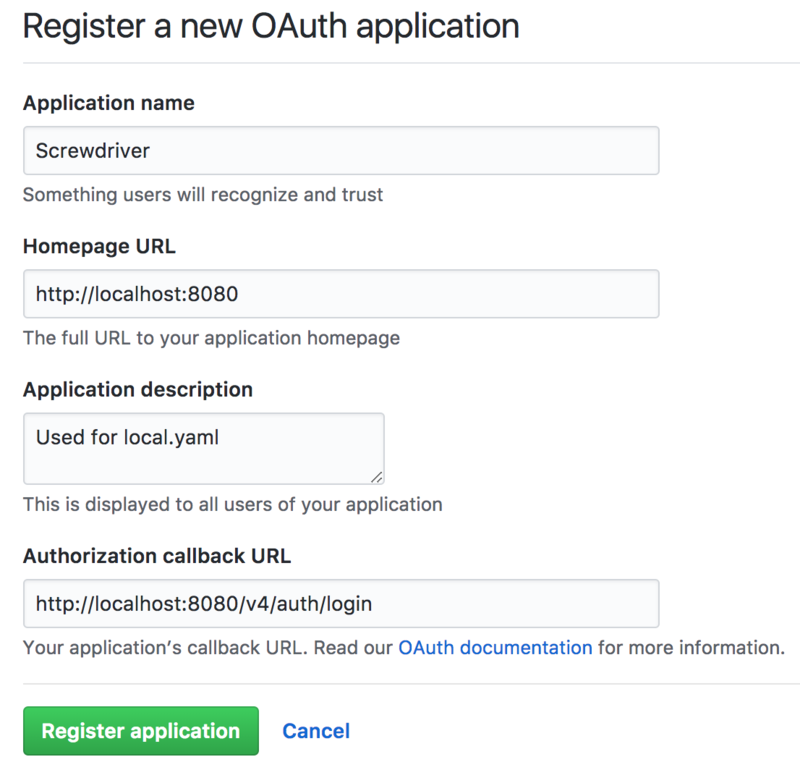 For further options, see the default.yaml. Click Register Application and put the Client ID and Client Secret in the fields below. The uri for the UI needs to be updated to your local UI, so set it to http://localhost:4200. If you want to test out some local node modules, npm install them now. Follow instructions in the UI README.md. Once you’ve got the UI running at http://localhost:4200, login.